One more baby item today. Check out the cool stencil miss K. picked up at a show in Chicago. 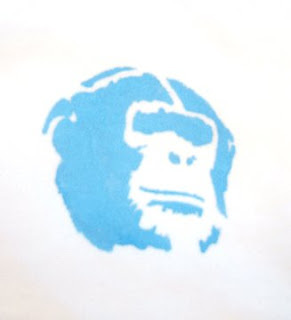 You can find more awesome stencils like this at Stencil 1. 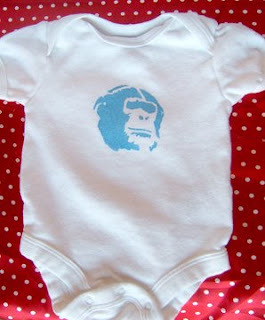 I still had some onsies left from that elephant applique one I tried to make for my sister's baby, so I put one to use.